Ignorance of the Bible’s very consistent architecture has led to the assembly of many well-meaning but errant doctrinal constructs over the centuries. With reference to it, however, the conflicts are made plain. Our own towers to heaven, however historic they might be, and however cherished, must be torn down. …all of the Old Covenant sacraments, like the flood, were future tense and testified to the destruction of the flesh. A week ago, I attended two conferences delivered by Peter Leithart on the subject of the Sacraments. The first one was aimed at anyone interested; the second was addressed more to ministers and theological students. Since Jesus loves little children, and Jesus is the Great Shepherd, our little children must therefore be His lambs. 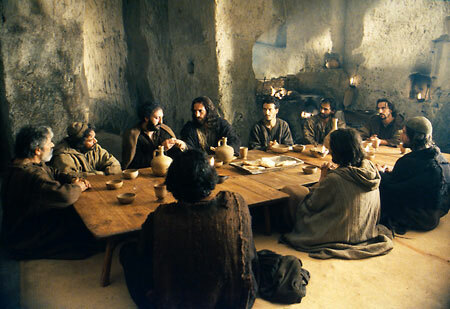 About whom was Jesus speaking when He asked Peter to feed his “lambs”? John 21 is used in support of the practice of paedocommunion, but such an argument sees only what it is looking for. If we allow the passage to speak for itself, what is it saying? The history of mankind is one of good gifts turned into idols. Blessings abused become curses in the hands of those who won’t look God in the eye. For those of us who know the Bible, the idolatries become more subtle. This was the case for the Pharisees. The exile had purified Israel of old-school idolatry, so she invented a new school: an elitism bound by an Abrahamic heritage and energized by the abuse of Moses and the Law as a means of salvation: heritage instead of faith; obligation instead of salvation. The good things given as gifts once again became the gods. Who are the dogs and pigs whom Jesus warns His hearers against in Matthew 7?